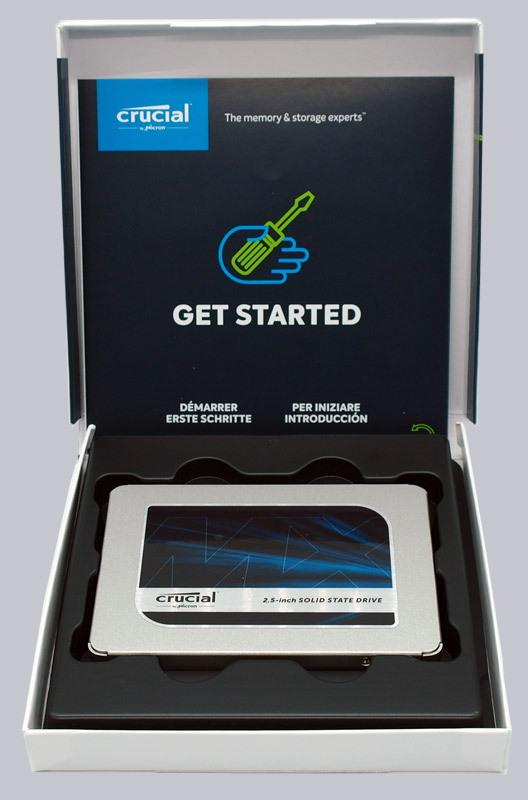 A few weeks ago Crucial introduced their new MX500 series with 64 Layer 3D TLC NAND. After the MX100, MX200 and MX300 follows not the MX400 SSD, but now the MX500 SSD. The Crucial MX500 is available in capacities from 250GB over 500GB and 1TB up to 2TB and offers a number of features designed to provide greater stability and data security. In our previous test of the Crucial BX300 we were already enthusiastic about the Silicon Motion SMI 2258 controller and we are curious to see how the new second generation 3D NAND will perform in combination with this controller. Many thanks for the support with the Crucial MX500 1 TB SSD by the manufacturer Crucial. 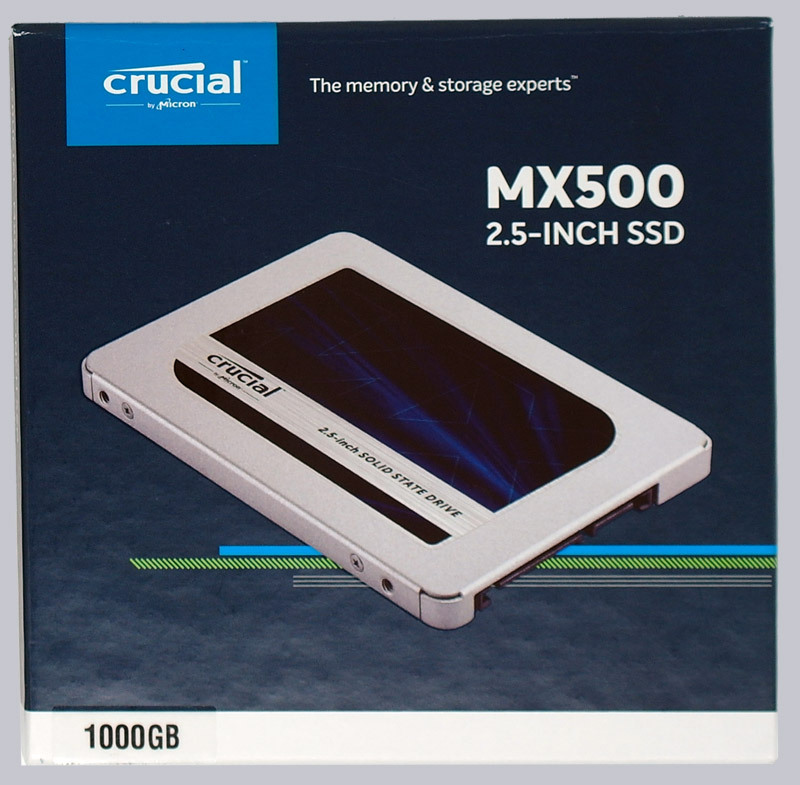 The Crucial MX500 1 TB SATA3 2.5″ SSD CT1000MX500SSD1 has at review date a price of approx. 230 Euro and is also available in the Crucial shop. 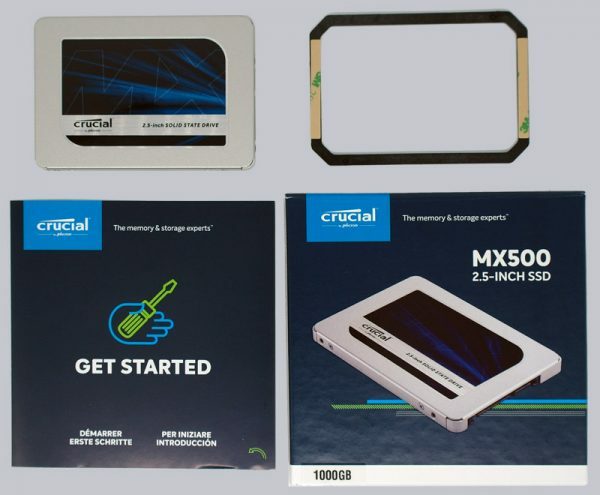 Here you can buy the Crucial MX500 SSD at a reasonable price. The box is well-known, the contents are new! The Crucial MX500 1TB SSD is securely packed in this box. After opening the box you can see the 2.5″ SSD. Under the SSD as well as under the black plastic holder are further additions of Crucial. Here you can see the complete accessories of the Crucial MX500 1TB SSD: A 7mm to 9.5mm adapter, a hint for free cloning software and a link to the installation instructions. Alternatively we offer here some SSD copy instructions.